Termites that live in the ground, also known as subterranean termites, aren’t generally a problem when they stay outdoors. However, they can cause major problems for homeowners in SC when they make their way indoors and take up residence. 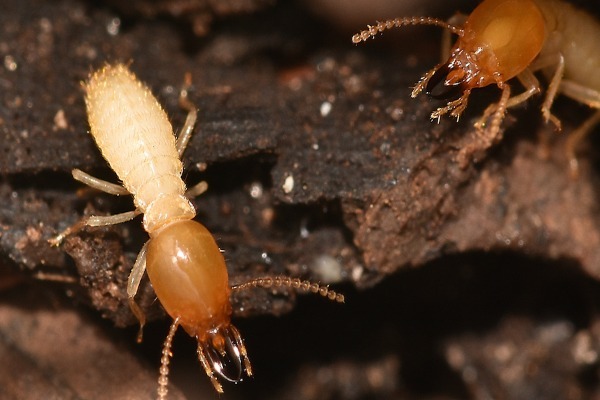 Find out more about the two different kinds of subterranean termites found in SC, and keep in mind that we offer Hilton Head termite treatment if you need it. The two different kinds of subterranean termites found in SC can be grouped into two categories. There are several native species of these termites in the state, as well as Formosan subterranean termites, which are an invasive species. While any type of subterranean termite can cause damage to homes, Formosan termites tend to be dreaded more, since they can form very large colonies that number in the millions. This makes it more challenging to completely eliminate an infestation of this invasive species. Where do these termites tend to make their homes? Formosan termites can be found in the Hilton Head area in Beaufort County, as well as in several other counties in SC. They were brought to the Charleston area back in the mid-1950s and have been spreading ever since. In fact, the spread of these pests has been on the rise, although it’s difficult to predict where these termites will show up next. That depends on human activity, since people accidentally spread these pests when they move certain materials around. These types of termites are capable of doing tremendous damage to the wood inside homes and other buildings mainly due to their colony size. This large size means that there is a higher number of workers around. The workers are the ones who go around feeding on wood while also expanding their territory, which can lead to a significant amount of damage. With so many workers, it’s also easier for these termites to find ways into residential buildings as they move around outside feeding. Formosan subterranean termites can also be a problem for live trees, since they have been known to infest and weaken them, especially if they are already diseased or damaged trees. These termites often build their nests in the ground, which is why they are known as subterranean termites. However, there have been a few cases of these termites building nests above ground. This only happens when there is a sufficient source of moisture in the area, though. Keep in mind that these pests usually get into buildings at the ground level rather than up high. Dealing with an infestation of Formosan subterranean termites promptly is highly important, since this helps stop their colony from growing larger and lowers the risk of extensive damage. Termiticide products and baits can be used for eliminating these pests from homes. However, these products must be used properly and safely in order to be effective, so you should let professionals provide Hilton Head termite treatment. Professionals can also monitor baiting systems to ensure that these pests are gone. Hilton Head termite treatment for native subterranean termites is not much different from Formosan termite control. You still need to have products applied safely and monitored closely in order to thoroughly deal with an infestation. The experts at Island Pest Control offer a free termite inspection and effective treatment for these pests. Our team of professionals can spot signs of termite activity, determine where the nest is and take steps to get rid of these pests while preventing them from infesting your home again. If you’ve noticed signs of subterranean termites, contact Island Pest Control. Our technicians can provide you with Hilton Head termite treatment to get these pests out of your home and off your property.